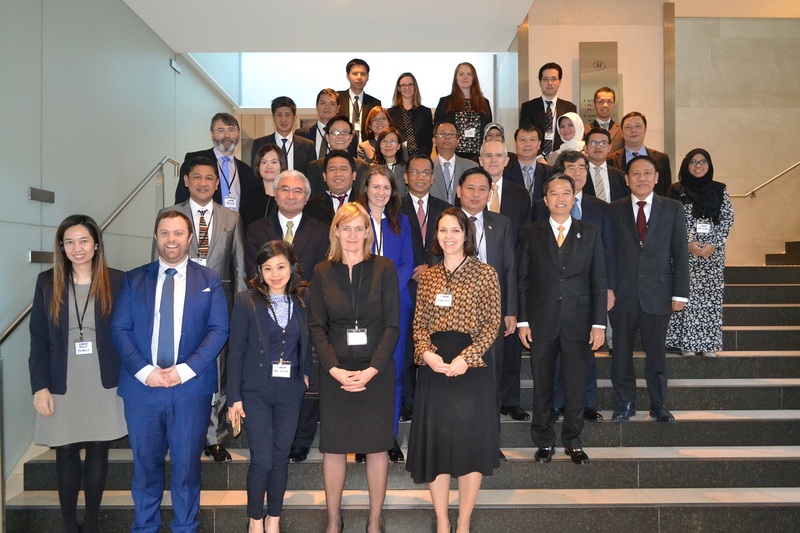 Sydney, Australia – Competition enforcement agency leaders gathered in Sydney, Australia for the ASEAN Australia New Zealand Free Trade Area (AANZFTA) Heads of Agency Roundtable on 28 August 2018. The Roundtable serves as a platform to deliberate competition issues that are important for both emerging and experienced competition agencies, such as the importance of engagement between competition agencies and the media, the role of the judiciary in competition regimes, strengthening regional cooperation, managing relationships with stakeholders and building effective and well-functioning competition authorities. Rod Sims, Chair of the ACCC, said developing stronger and closer cooperative relationships in Asia is important to the ACCC. “Events like these strengthen these relationships by bringing us together and allow agency leaders to share knowledge and experiences in competition law and market regulation,” Sims added. Chair of the ASEAN Experts Group on Competition (AEGC) and Chief Executive of the Competition and Consumer Commission of Singapore, Mr Toh Han Li said, “Each ASEAN agency has specific challenges and opportunities in establishing and developing their competition law and enforcement practices. Bringing leaders together in this way helps us examine the big picture and look at common understandings, which is immensely beneficial”. The Roundtable was organised and delivered by the ACCC, with support from the ASEAN Secretariat, as part of the multi-phase Competition Law Implementation Program (CLIP), under the AANZFTA Economic Cooperation Support Program. The convening of the Roundtable coincides with the East Asia Top Level Meeting on Competition Law and Policy and the 11th East Asia Conference on Competition Policy and Law. Currently its third phase (1 July 2018 – 31 December 2019), CLIP extends and leverages practical expertise and knowledge developed at both the individual and institutional levels under CLIP Phases I and II.